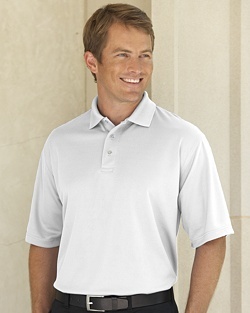 100% polyester, Spin Dye Polyester Pique, Ribbed knit collar, Fully-taped neck seam, Forward shoulders , Open Sleeves, 4.7 ounces, Long-lasting color that won’t ever fade away, Three-button placket. Available in other colors for group orders....Please Call! Embroidery Available....Please call for pricing!